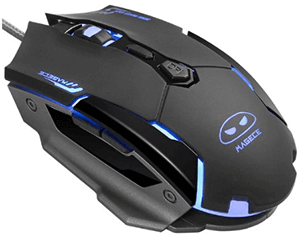 If there is one thing I noticed about the Magece G2 budget gaming mouse, it’s the futuristic design that naturally attracts the Battlestar-Galactica-type. Although, I typically feel cheated by some of the “cooler” looking mice out there. That is only because a lot of the entry-level, ‘hi-tech-looking’ mice end up sacrificing key performance measures for something that will only make you FEEL like a badass gamer, when in reality it may be even worse than your standard office mouse. Luckily, the Magece has a healthy balance between looks and performance, making it one of the best cheap gaming mice you can buy today. The software is very easy-to-use, I had everything up and running in less than 5 minutes. It’s a simple, user-friendly design and it allows you to customize all of your settings on the mouse. I’m not one for a light-show but if you are, then it’s worth noting that the software also allows you to customize the light settings. There are 4 color LED lights which can be set to cycle breathing or constant single-light modes. You might want to take advantage of this option when you set everything else up because it took me only 2 minutes to have it all configured to a Red-White, breathing set-up. 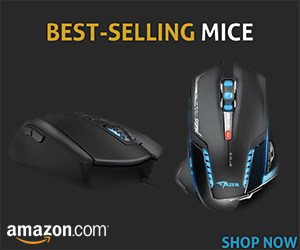 The mouse has 6 buttons with a scroll wheel. There’s also a DPI Adjustment switch which has 4 settings: 1,200/1,600/2,400/3,200. The scroll wheel is pretty awesome and it’s extremely sensitive. Here’s the deal with the buttons. There’s a LOT but that isn’t always the best thing to look for in a mouse. For instance, the Magece G2 has The two left and right keys, but then there’s a windows key right below the scroll wheel. It’s very small and hard to find during an actual game. Key 5 is your DPI adjustment button and it’s placed in pretty ormal During the two hours I used this mouse I really enjoyed the nice clicking noise which reassures its solid and durable body. That being said, let’s talk about the design, the ergonomics, and the grip. First off, the Magece G2 weighs in at 28G, making it a good balance between heaviness and lightness. The matte black is accompanied by light designs embedded into the shell. Magece’s logo sits on the bottom side of the mouse rather discreetly but definitely noticeable. The scroll wheel has several grooves on it which I found to be a good thing in terms of grip. The mouse also has a metal bottom which is sleek and clean. Ergonomically, the mouse is pretty standard, fitting right-handed players better than their left-handed counterparts (sorry guys). I settled on the palm grip and I found it to be above average in terms of comfort but still nothing to get too excited about. Despite some nice features, the Magece’s design is just too much for me. It’s stocked with so many buttons all over the shell, right and left sides, that I was unable to really enjoy all of the benefits of each button. In other words, the Magece G2 is nothing to go crazy about in terms of design. After a few weeks of use the Magece G2 will grow on you no matter what your hang-ups might be about the mouse and that’s largely because of its amazing optical sensor. The optical sensor on the Magece G2 is a plus in my book. It worked on all types of surfaces and I had no problems with acceleration and accuracy. The sensor is smooth and effortless as well as fairly sensitive. The thing about the Magece G2 is that my initial expectations were low. Once I actually put the mouse to use, then I realized how amazing it performs and handles some very difficult evasive maneuvers in your traditional FPS. To me, high sensitivity is a great thing but it might not be your cup of tea so keep this in mind in your gaming mice search. 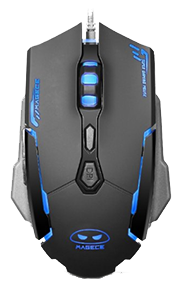 Overall, I felt really positive about the Magece G2 after I personally tested the mouse during a few games of CS. That’s me overlooking the corny design and the fact that left-handed gamers and anyone who uses the claw-grip frequently may not find this mouse to be their favorite due to its unusual shape and large amount of buttons. 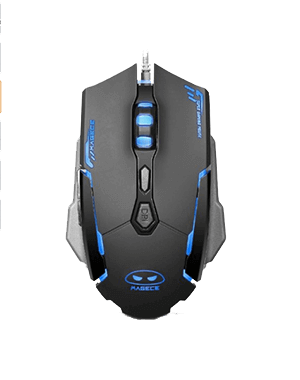 At the same time, the mouse performs extremely well when compared to other mice in this price range. So, if you don’t fall into one of these no-no categories or if you just can’t resist the looks and decide to take the risk, then the Magece G2 is going to enhance your gaming experience and performance. Hi, good review! But I have a question, please, if you have time to answer it. You mention software that allowed you to customize mouse settings. Can you tell me where you found it? Thanks in advance! Aha! Thank you, you were very helpful! X-mouse is great but that is not the software the reviewer is talking about. He says specifically that he could control the LED colors, which is not supported by the free X-mouse software. That would need to be done by the manufacturer. In my case getting this second hand I don’t have a disk and can’t find the company online, and I would really like to have that software. Hey, any chance you could share your AutoHotKey scripts? I’ve been trying to bind MButton, WheelDown, WheelUp, XButton1 and XButton2 to themselves, but they still get overridden by the mouse’s media mode when I try to switch to a solid color (even if I run the script after switching into media mode). Thanks much, and happy holidays! My scroll doesn’t work from time to time and I don’t remember how I fixed it last year.